Until this day, Facebook's main source of income is Facebook advertising. Of course, Facebook is not using mere banners, it has taken it to the next level. From a client's perspective, Facebook has made advertising social. You get to see who in your network likes the ad. From an advertiser's perspective, Facebook ads allow you to target your market really accurately; thus spend your Facebook ad budget more wisely. All in all, impressive isn't it? 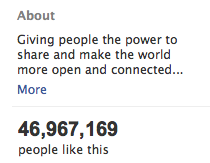 So why am I driven to think that Facebook is still thinking inside the box? Simple. Any website, no matter how ingeniously developed it is, would normally raise money, from advertising or some sort of e-commerce. Facebook is no ordinary website; and while creating its business model, they are mistaken to treat it as one. The wealth of Facebook is not the amount of users it has, or the number of visitors, time spent on the site, number of applications, user interactions... They all, sure, are worthy. Yet, they are not Facebook's most unique feature. Facebook's real wealth is in the data it can provide. But you already knew that, right? How could Facebook leverage on that? 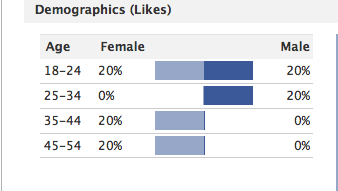 Facebook Insights - Facebook insights has the potential to grow bigger than any other web analytics tool. Let's face it, no other tool will be able to deliver as accurate visitor profiling as Facebook. What if they analyzed more than the Facebook likes and shares? Potential clients: any website owner. How many more unexploited Facebook opportunities can you think of? No. 1 & 2 are definitely correct and could be used in correlation to create the ultimate web analytics tool. However, you did get carried away in no. 3 because open source websites like Wikipedia are not considered credible sources for academic research and are not accepted for reference in university work. Facebook's social nature is considered a downside here since anyone can create a company profile and add his own information. Great post Youmna. What I've noticed about facebook's strategy though is they try to develop things bit by bit, until more people adopt them and then they re-synthesize the revenue model once you get to the point that you absolutely need it, plus they try to encourage the co-system of apps to develop and test the grounds. For marketers, we definitely need better and more advanced facebook analytics tools that allow for data export and more tracking options to really know our top fans and all the demographics. There's this new partnership with Klout and Audi everyone is buzzing about though that allows pages to interact with fans based on their Klout scores that also has a lot of potential, as it further customizes experiences. Point 2 , would definitely be a goldmine, but i guess a lot of research is needed in order to develop something that truly could profile people that well, whilst not being invasive.